Could a hearing aid help my child? How so? How will I communicate with my child? How will the hearing loss affect my child’s speech and language development? Hearing is critical to the development of language, speech, communication, and learning. However the earlier the hearing loss is identified and intervention begins, the less your child’s language and communication skills will be affected. What could have caused my child’s hearing loss? Statistics show half of all hearing loss in children is due to genetic (hereditary) factors. Other factors, including illness or loud noises, account for nearly 25% of hearing loss causes in children. However, keep in mind nearly 25% of reported hearing loss sources are never identified. Where can I learn more about hearing loss? Why is my child being referred for Genetic Testing? This is essentially part of the hearing loss testing process. Genetic testing is performed to determine whether your child’s hearing loss is due to non-genetic or gene-related causes. 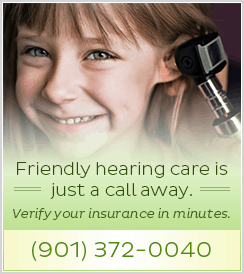 This helps determine if your other children could be afflicted with hearing loss as well. The full genetic evaluation will also determine if there are other health conditions that need to be addressed.